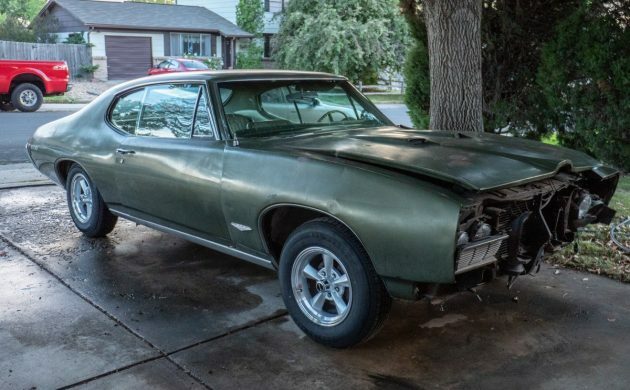 It’s always hard to see someone let go of a family heirloom like this 1968 Pontiac GTO. It has been in reader Michael P’s family since the ’70s and his father gave it to him, but he’s realized he can’t give it the attention that it deserves, so he wants to see it go to a good owner who can fix it up and enjoy it! It’s located in Denver, Colorado and has been parked for the past 30 years. If you’d like to get this GTO back on the road where it belongs, be sure to message Michael via the form below! What Makes It Special? This vehicle has been in my family since the ’70s and was given to me by my father. I don’t have time for this project and want to find it a new owner who will give it the proper attention it deserves. Body Condition: Body is in ok shape. It has front-end has damage, but have original bumpers and headlights to include with the car. Body is largely rust-free, other than spots from worn off paint. No rust holes or serious damage. Has aftermarket wheels on it now for moving, but has seven original wheels to be included and are in need of restoration. Mechanical Condition: The engine is original, as is the transmission. The engine has been modified with an aftermarket camshaft, headers, and carburetor. The car has not run in 30 years and has been in a garage for the same time. Brakes need work and currently do not function, but not really sure of the condition. 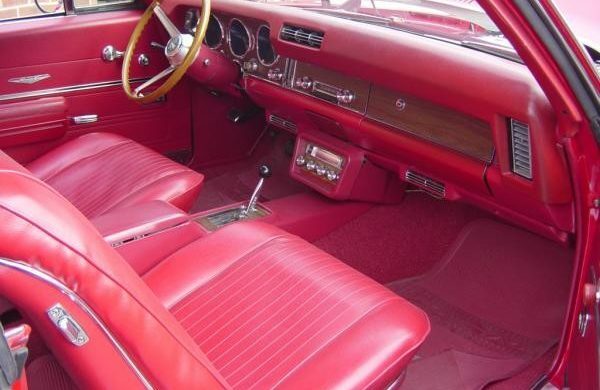 This has a His and Her’s shifter and the interior is largely in great shape for its age. 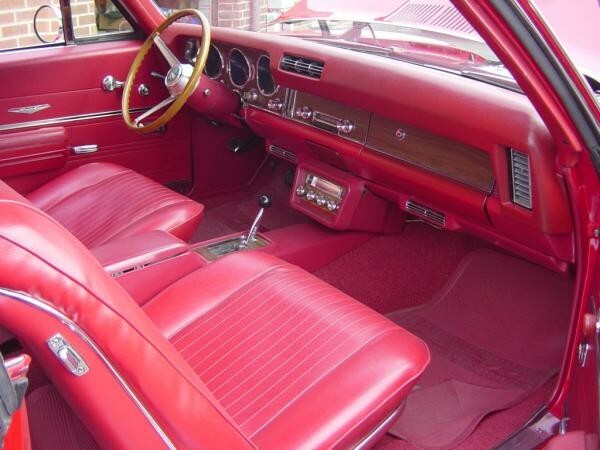 Our thanks to Michael for listing his GTO with us! We hope it ends up with a reader who can fix it up and enjoy it. It looks like it really could be a 55k mile car and may not take much to make it a runner. If you end up buying it, please let us know so we can follow along as you revive it! 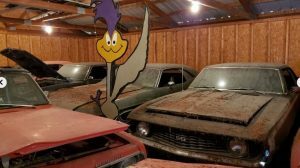 Do you have a muscle car parked in your barn that is in need of attention? Please consider listing it here on Barn Finds! Just curios’ but would there have been some plastic cladding on the sides of the 8-track? Not sure. It’s always looked like that. I would include everything we have on it. Not sure if there’s any more to it, but I would include everything we have with the car. Yes. Here’s a pic of one in red. Nice interior and decent body would be great project. Very desirable project at a decent price. You can see remnants of hidden headlights on the first picture of the description. Going with a chrome bumper will make it look like the car was done on the cheap and/or is a fake. The seller is including the original bumper and associated parts. It’s better to step up and spend the money to do it right the first time. Steve, great commentary and I wholly agree. Dare I say this car could be assembled and enjoyed as a “survivor” in its current state. My comment was to reflect on an endura-delete GTO that was listed here earlier this week that some commenters thought was a fake. If I were to have the opportunity to buy this, it would most certainly have an endura bumper installed. Sorry to all that can’t recognize sarcasm. O. M. G. I have so much love for this car…and it’s in my neck of the woods too! Back in the early ’80’s, my next door neighbor’s son had one identical to this. Fact. GTO w/ A/C, orig eng. / trans., very low rust, decent, original body and nice interior. At $10,000, should be a very well-bought light-moderate project for someone. Wonder why BF has duplicate and triplicate pics posted?? Nice, honest car, decent price! 68 is my birth year, so it’s extra special to me. I LOVE the dark green exterior, gold interior?…….not so much! Amazing how the passengers’ side has no door dings, but the driver’s side has so many they almost form a pinstripe…. This looks like a good project at a realistic price! GLWTS. A good solid car at a fair price for both buyer and seller. Haven’t seen that in a while. Left front fender needs replaced. Big kinks. That, or a true metal smith. Best wishes to whomever acquires this gem. Great car, good price! I would be a player except too many irons in the fire at the moment. Good luck on the sale! It should not take loge to sell it. Nice car. Looks like a real good project. Other than needing a new console and shift knob, the interior looks great. Suggestion for the seller: I realize you might not have easy access to a lift, but pics of the underside, especially of the areas most prone to rust on these GM A-bodies, would be very helpful to potential buyers. GLWTS. I’ve never been a fan of any GTO . Always thought of them as a Pontiac. Grandpa had a Pontiac. Smooth and slow from what I remember.